quality healthcare delivery at the grassroots. The Commissioner for Health, Dr Haruna Mshelia, made the disclosure at a press briefing in Maiduguri on Sunday. Mshelia, who spoke against the backdrop of the 2017 World AIDS Day, said that the equipment had already been supplied to the state. He disclosed that the state government also embarked on construction of an ultra modern diagnostic centre at the Specialists Hospital, Maiduguri. He added that the equipment would be distributed to the centre as well as other health facilities in the state. Mshelia explained that the centre would be with MMR, City-Scan, Ethno-Cardiographs and Intensive Care Unit (ICU), stressing that the centre would soon begin operation. “In the last 18 months, His Excellency spent N4.2 billion in procuring latest equipment, radio diagnostic centre, digital X-rays both mobile and static. There will be no hospital without an x-ray machine. “We are going to have a 4-D ultra sound scanning machine; 3-D ultra sound machine and 32 units of 2-D machines, no hospital in Borno State will be without an ultra sound machine. “Already 59 doctors have been trained on these machines”. 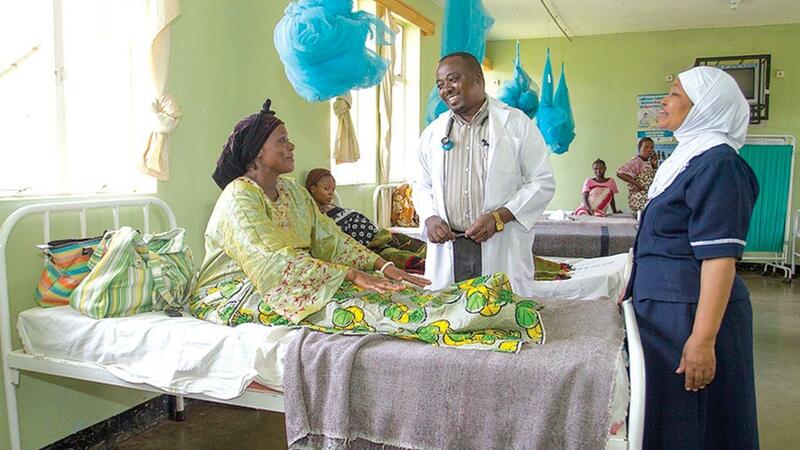 Mshelia revealed that the government had so far rehabilitated and equipped eight general hospitals with modern equipments to enhance their operations. He listed the projects to include Maryam Abacha Women and Children Hospital; Moloi, Shani, Biu, Benisheikh, Gubio, Konduga and Dikwa General Hospitals. The commissioner noted that work on Damboa and Gwoza hospitals were completed while Kwayar-Kusar and Damasak hospitals are being rehabilitation. Mshelia said that 50 primary healthcare facilities were also rehabilitated, adding that 27 of the clinics had been inaugurated across the state. Commenting on disease control, Mshelia said that the state government has controlled cholera outbreak recorded in the past months in the state, while Hepatitis outbreak was also controlled at Mobbar, Monguno and Rann communities. He said government also scale up immunization campaign against polio and measles to ensure total eradication of the disease. “The state government is providing free drugs in all the health facilities and introduced integrated healthcare services in the Internally Displaced Persons (IDPs) camps, while 8 new general hospitals will be established in addition to the existing 24”.